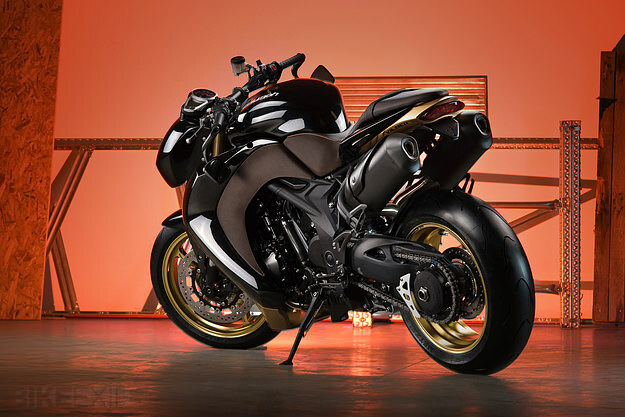 Most folks agree that the Triumph Speed Triple is one of the best ‘naked’ bikes you can buy. But there’s always someone, somewhere, who wants to improve on perfection. The mechanicals of the bike have wisely been left alone. 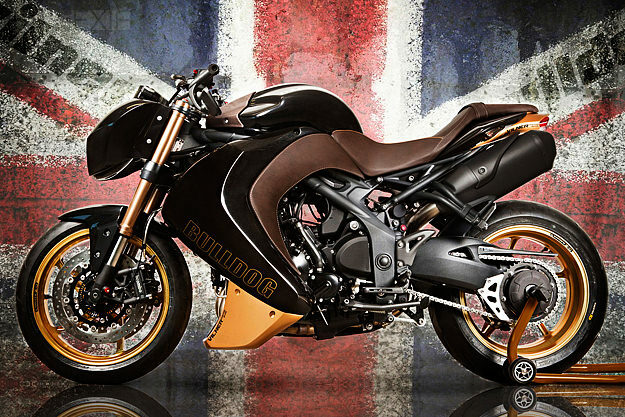 (With over 130 bhp and a top speed nudging 150 mph, the stock Triumph Speed Triple is not short of performance.) 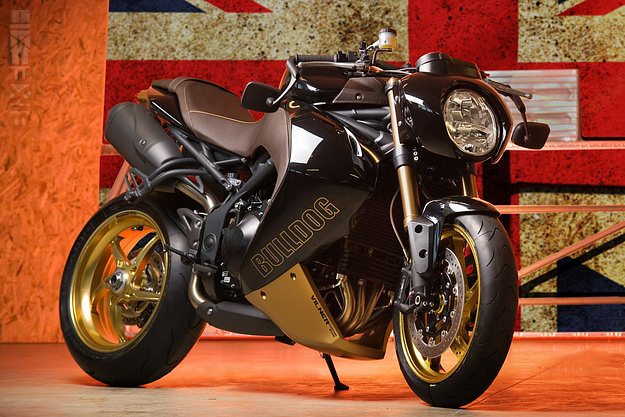 But Vilner has gone to town on the aesthetics, replacing the signature twin lamps with a huge single unit and covering the bike in a swathe of top-grade leather. The wheels are swapped out for lightweight OZ Racing items, shod with Metzeler Racetec K3 tires. New mirrors sit under the handlebars, and the exhaust system has been powder-coated black. 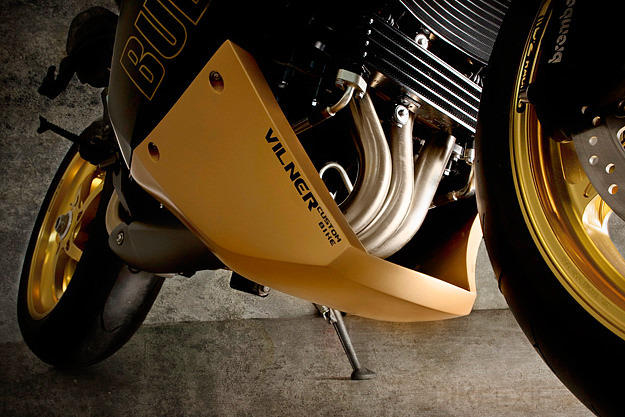 Leather sweeps down the black engine side panels, with a contrasting gold ‘scoop’ wrapping around the downpipes. It’s a far cry from a Bonneville with a Brat-style seat and clip-ons, but it hits the spot for well-heeled Eastern Europeans. And the black-and-gold color scheme does look rather fetching. 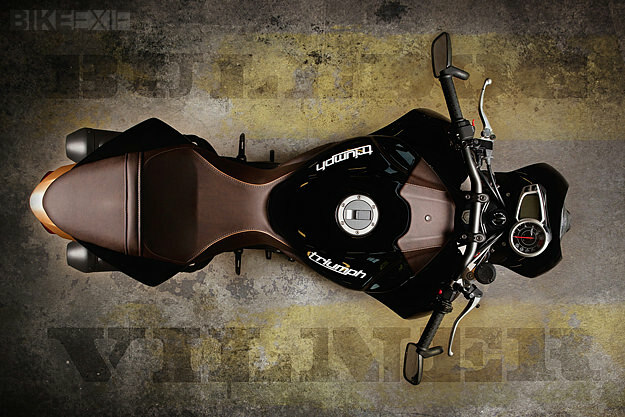 Head over to the Vilner Custom website to see more of the Sofia-based company’s work.